Home Theatre MUSICALS Young local talent, Mya Berg, grows onstage and off. Young local talent, Mya Berg, grows onstage and off. Mya Berg will appear in WSRep's "Emma! a pop musical" opening March 29th at Raue Center for the Arts. Sage Studio students are able to gain the experience, confidence and knowledge needed to go on to audition for professional shows, including those produced by WSRep. One of these students is Mya Berg, an eighth grader at Hannah Beardsley Middle School in Crystal Lake. “I’ve taken classes at Sage Studio since I was nine,” says 13-year-old Berg, whose favorite class to date has been the Junior Musical Theatre Workshop. 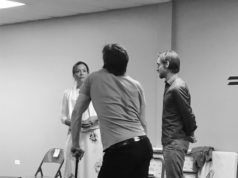 “I have learned about spacing, improv, how to prepare and perform a monologue and how to audition,” she shares. 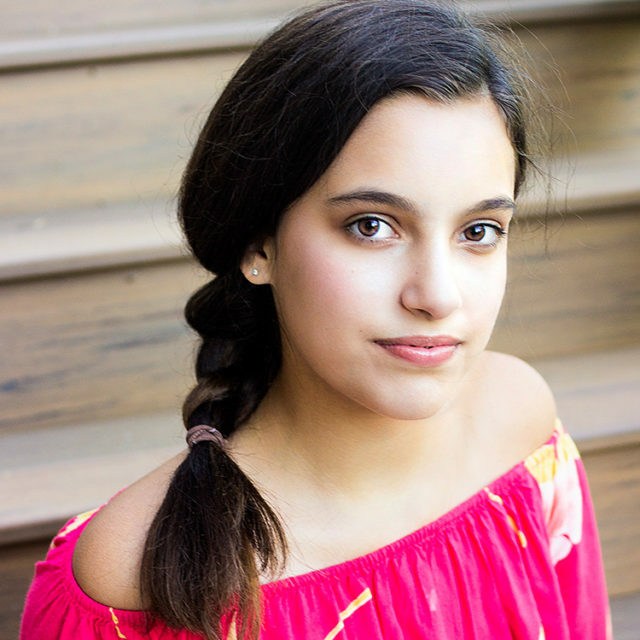 The performance fundamentals taught in Sage Studio classes have aided Berg on stage, providing her with the experience, confidence and knowledge needed to land roles in both middle school and professional productions. Berg has since been cast in her second production with the professional theatre company, this time as a member of the ensemble for WSRep’s “Emma! 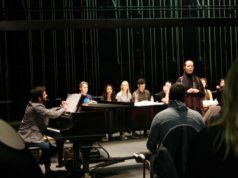 A Pop Musical,” which opens March 29th and runs select dates through April 20th at Raue Center. 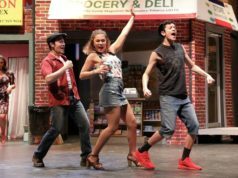 In addition to taking on a role in a professional production at just 13, Berg is tackling a lead role in her school’s production of Disney Jr.’s “High School Musical” simultaneously. Hannah Beardsley’s production of Disney Jr.’s “High School Musical” runs April 12th and 13th, overlapping with WSRep’s “Emma! A Pop Musical.” This makes for a very hectic schedule for the young actress. Previous articleDirector Robin M. Hughes taps into girl power for “Emma! a pop musical” at Raue Center. Director Robin M. Hughes taps into girl power for “Emma! a pop musical” at Raue Center. Arts + Community: Nathan Ancheta, Leading in Musical Theatre. Local filmmakers prove it’s the Little Things that matter.